We’ve all heard it before: consistency is key. And when it comes to your beauty routine, sticking to a routine can make or break(out) your skin! With colder weather already making its appearance, and the hustle and bustle of the holidays looming ever closer, I know how difficult it can be to maintain a proper regimen. At Luxe Lashes, all of our services provide you with an easy and manageable product that will last, and keep you looking beautiful even on the days when using a makeup wipe seems like too much effort! One of our services that provides you with consistency is Microblading. Microblading is a manual method of depositing small amounts of pigment into the outer layer of the skin without reaching the dermis as a semi-permanent solution to sparse, over tweezed/waxed, and thinning brows. It can also be used to define brows, eliminating the need for any brow pencils, powders, etc. 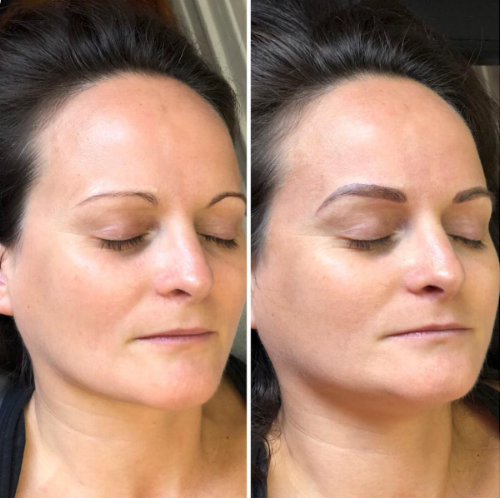 A microblading pen is used to create very fine, crisp hair strokes that do not blur after the healing process, allowing us to construct very natural eyebrows for clients with little to no brow hair. When it comes to skin care, your discipline in cleansing your face, drinking enough water, and not eating too much sugar guarantees a healthy glow… but sticking to a simple regimen is the best way to maintain your natural beauty! Schedule your appointment with us today, and we’ll help you create the best routine for your best-looking skin ever!